I’ve had the privilege of interviewing an extraordinary and talented saxophonist. I like to say this instrumentalist gives a soul to the universe, wings to the mind, and light to the imagination. Mr. Marlon Boone is clear evidence that music is the safest kind of high. 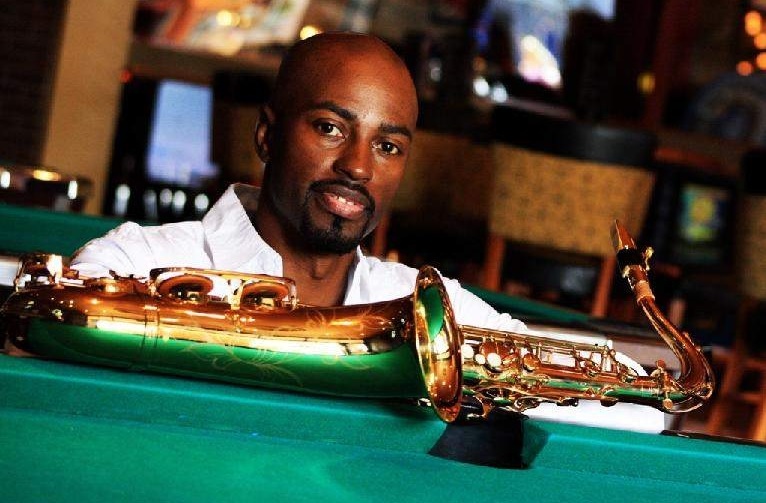 The term "smooth jazz" doesn’t equate with a dancing good time, but saxophonist Marlon Boone insists that’s what will happen Saturday when he plays the Encore Holiday Jazz Festival. Moving people out of their seats when the chords strike up for popular covers like Michael Jackson’s classic Rock With You or Maze featuring Frankie Beverly’s We are One is the reaction Boone will look for when he makes his third appearance at the event, hosted by JazzTyme Productions.